“People have died from the drugs I have prescribed…..We Doctors have a destructive therapeutic mind set and this is causing widespread and long term harm to society “. So begins a typically thought-provoking Bad Medicine view and a discussion excerpt in the British Medical Journal, in response to the report by a forensic toxicologist that 35% of heroin overdose victims had misused gabapentin or pregabalin (editorial 15 Aug 2013). 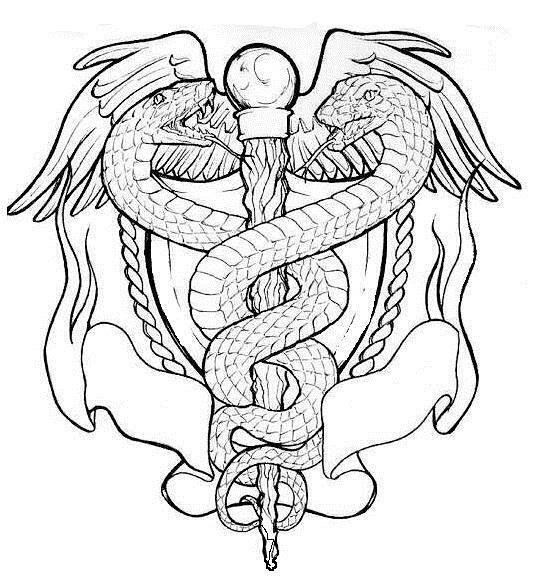 How apt are the asps of the caduceus – adopted erroneously by the medical profession in the 19th century as a result of a mistake by the US Army Medical Corps? The Hippocratic Oath began with the words “I swear by Apollo the Physician and by Asclepius …… (whose staff in mythology had only the one snake!)…. I will neither give a deadly drug to anybody if asked for it, nor will I make a suggestion to this effect”. To err is truly human, and physicians are no more exempt from blunders. The two snakes of the medical caduceus actually belong to the staff of Hermes – God of commerce and thieves, and guide to the Underworld. Hellarious!